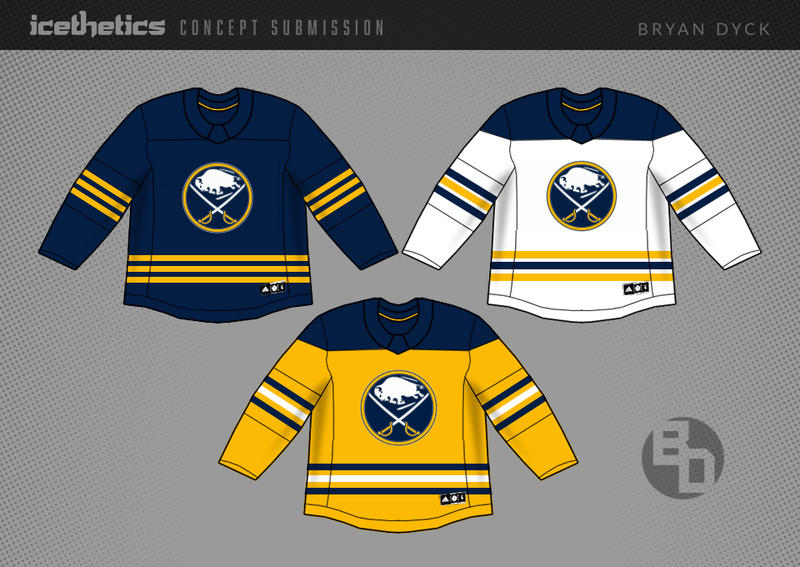 The last time the Buffalo Sabres attempted a gold jersey, it was catastrophically bad. But if they paid attention to this option from Bryan Dyck, they could be on to something. Bryan Dyck strips down the Columbus Blue Jackets branding today with a new set of sweaters focused on the club's secondary logo and a bit of a fauxback third. What if the Wild ditched the red from their next round of uniforms? Bryan Dyck suggests just that his Minnesota redesign. Bryan Dyck is trying to imagine the future of the Calgary Flames when Adidas takes things over this summer — hoping for something a little more retro. Bryan Dyck envisions a future for the Avalanche in which they promote their third jersey to primary and overhaul the burgundy look. What about you?